Emerson Process Management is automating two new 1,000-MW, ultra-supercritical, power-generating units at the Jiangsu Xinhai power plant with its Ovation™ expert control system. The new units are the first 1,000-MW units to be built by Jiangsu Guoxin Investment Group Limited, which owns and operates the plant in Lianyungang city, near the East China Sea in the Jiangsu province. By using ultra-supercritical technologies – which offer both higher efficiency and lower emissions than traditional coal-based electricity generation – Jiangsu Guoxin Investment Group Limited is supporting economic growth in Eastern China in an environmentally responsible way. 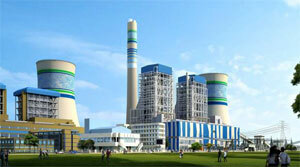 Emerson's Ovation technology has been selected for 40 of 64 1,000-MW ultra-supercritical units in China. The system's ability to more tightly control operations is essential for achieving and maintaining ultra-supercritical unit efficiency. Because it was the company's first experience constructing and operating 1,000-MW units, Jiangsu Guoxin Investment Group's leaders and experts wanted to be sure they selected a supplier with a successful track record automating these types of plants. Emerson offered a proven, state-of-the-art control solution backed by superior technical expertise that was just what the company was looking for, which is prompting Jiangsu Guoxin Investment Group's interest in collaborating with Emerson on future energy projects. Dating back to 1941, Jiangsu Xinhai is one of the oldest operating power plants in China. The facility currently has a generating capacity of 660 MW (2X330 MW). The new units, Units 5 and 6, will replace two old, less-efficient 220-MW units that have been decommissioned. Unit 5 is slated to go into commercial operation during fall 2012; Unit 6 is scheduled to come online the following year. Emerson will supply a total of 66 Ovation controllers and 16 workstations. Ovation technology will monitor and control boilers and turbines supplied by Shanghai Electric Group. The Ovation system will also perform data acquisition, as well as manage each unit's flue gas desulfurization (FGD) system, modulating control system, sequence control system, electrical control system, furnace safety supervisory system, feed-water turbine control system and balance-of-plant processes. In all, Ovation will manage 28,000 I/O points. In addition to Ovation, Emerson will also supply nearly 1,000 Rosemount® differential pressure, level and flow transmitters. "Industry leaders like Jiangsu Guoxin Investment Group understand the importance of choosing the right automation for ultra-supercritical and supercritical power plants," said Bob Yeager, president of Emerson Process Management's Power & Water Solutions. "We are pleased to apply our automation and control expertise and technology at the Jiangsu Xinhai plant, helping to ensure these new ultra-supercritical units operate safely and efficiently for years to come." Emerson, based in St. Louis, Missouri (USA), is a global leader in bringing technology and engineering together to provide innovative solutions for customers in industrial, commercial, and consumer markets around the world. The company is comprised of five business segments: Process Management, Industrial Automation, Network Power, Climate Technologies, and Commercial & Residential Solutions. Sales in fiscal 2011 were $24.2B. For more information, visit www.Emerson.com.